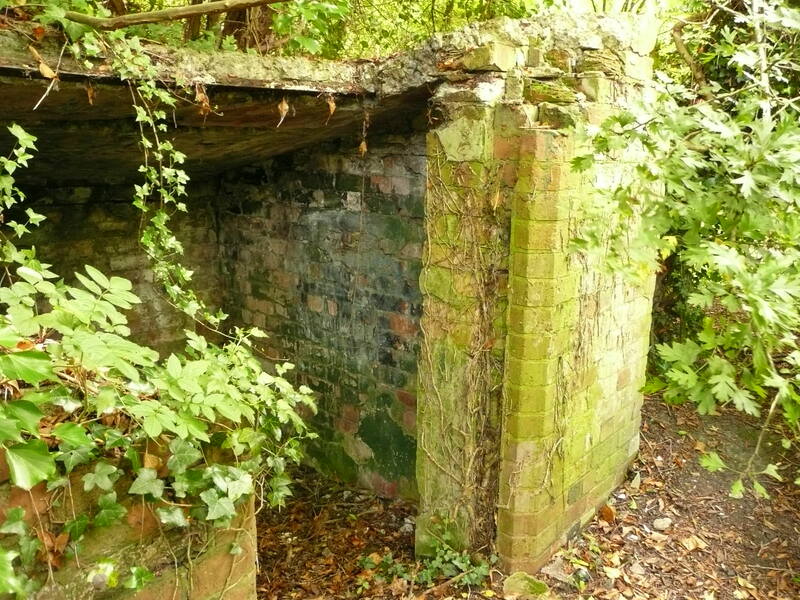 You are here: Home>Locations>Rugby>World War II feature: Bofors emplacement at Rugby. 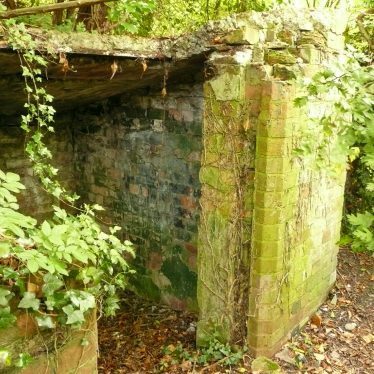 View of building at base of path to site possibly related to it. 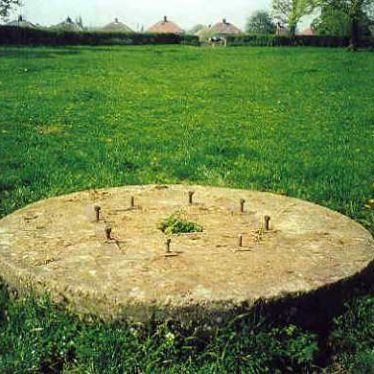 1 Circular concrete holdfort sited in a small area of ridge and furrow between Johnson Avenue and allotments north of Bilton Road, Rugby. 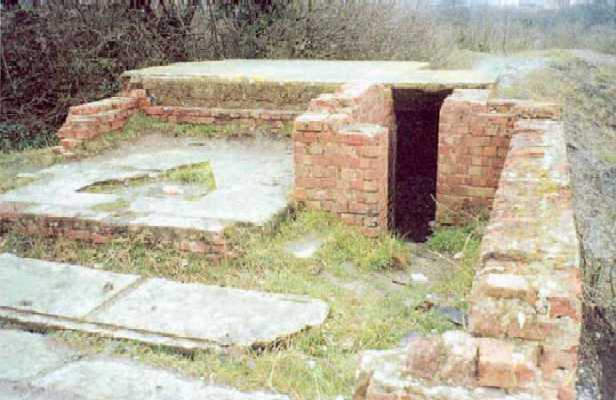 The emplacement has ammunition lockers to the west, south and east sides. 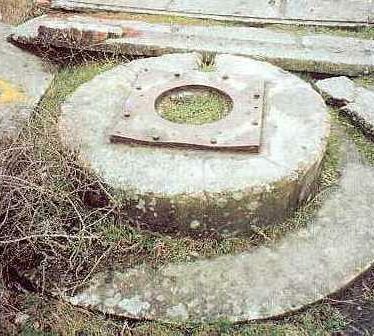 South of this is a square predictor emplacement with a triangluar recess in the concrete floor and a semi-sunk shelter. The overall layout has been adapted from the standard to fit the narrow site. 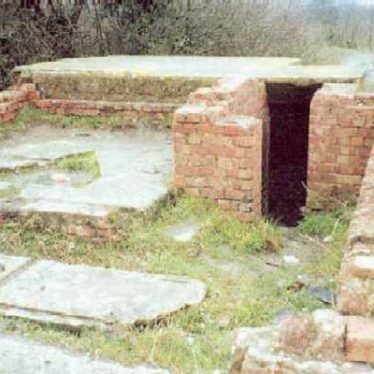 During 1999 and 2000 most of the site has been destroyed. 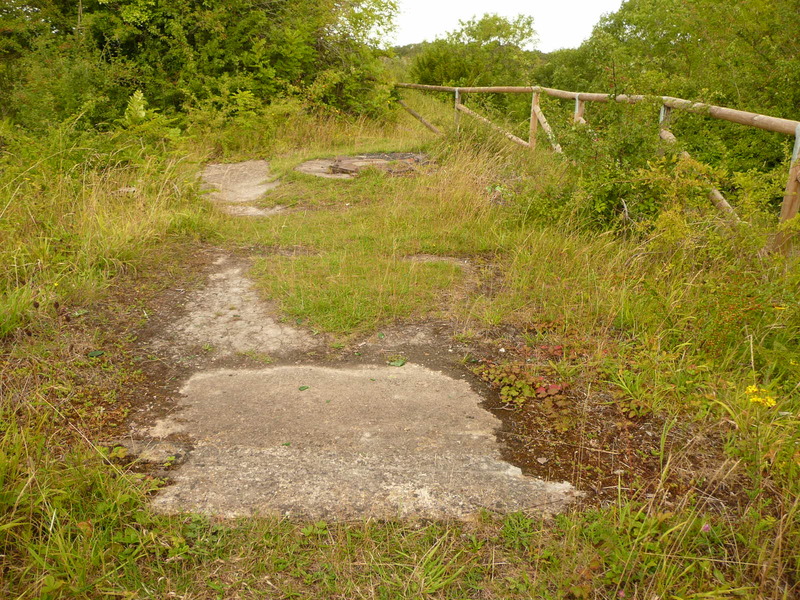 This site is identified as GG site on the total armament list of 1940. 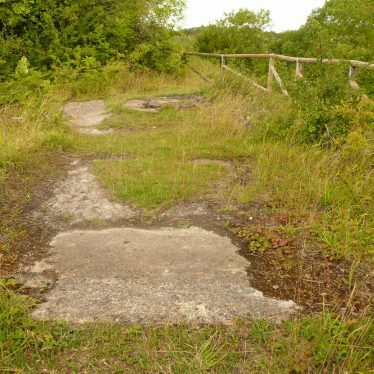 2 This site was one of 8 Bofors sites and 11 Lewis gun sites built in a ring to defend the vulnerable railway junction and important factories. 3 Earlier version of 1 with slightly more detail. Bofors guns were 40mm. 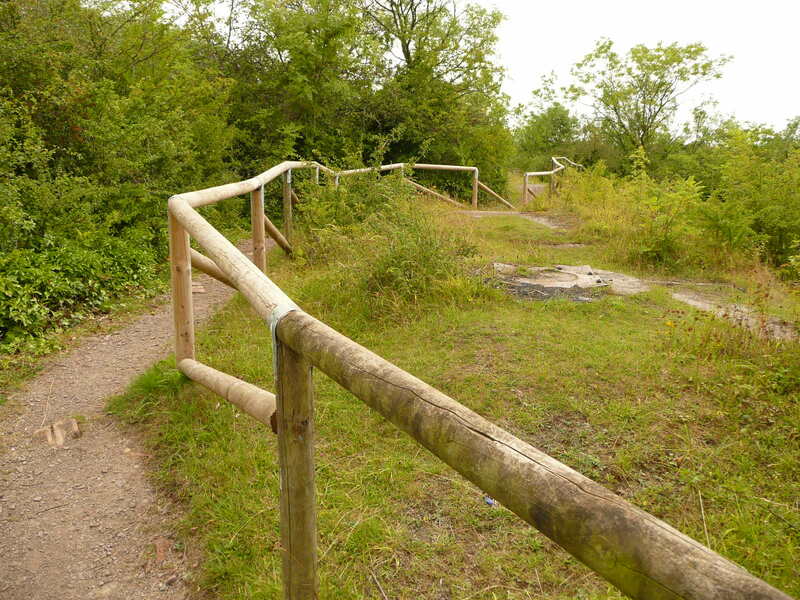 The site north of Bilton Road / South of Johnson Avenue. Growing up in the 1940s/1950s, this was a large field known to us as ‘The Co-op Field’. This was, I understood, because the Co-op kept horses here for the night. 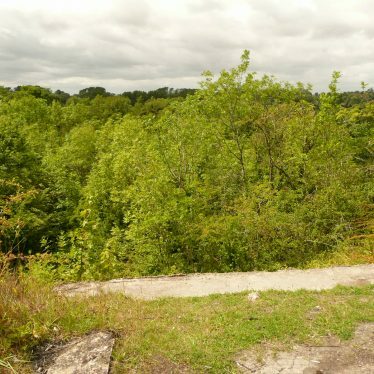 For us, it was one big play area – football, playing in the stream at the bottom, and war games around the old gun emplacement. Happy Days! 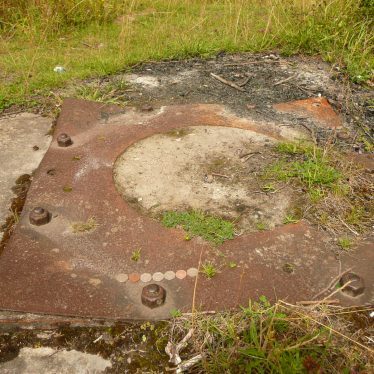 Findspot - a bronze ring dating to the Imperial period was found in George Street, Rugby. 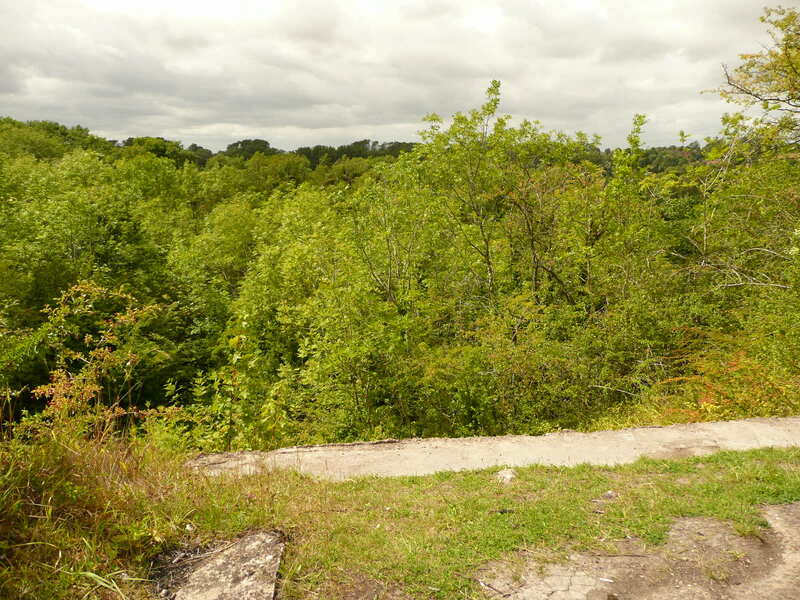 The site of a railway signal box that dated back to the Imperial period. It is marked on the Ordnance Survey map of 1923. The signal box was situated 1km east of Rugby Station. Villa with paddock park and pleasure grounds. House demolished c 1930. A control tower associated with the Second World War airfield north east of Atherstone on Stour. The control tower was a three-storey brick building which is still largely standing. 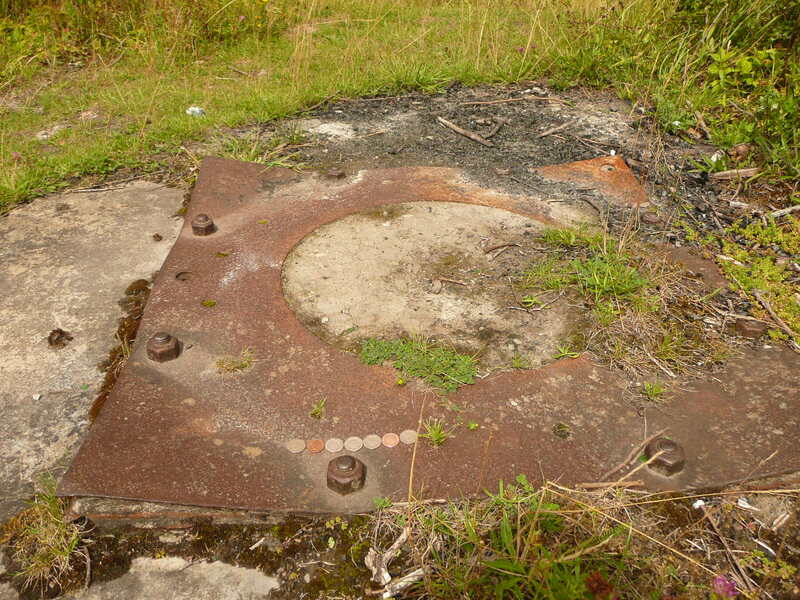 The site of a Second World War Bofors gun emplacement. 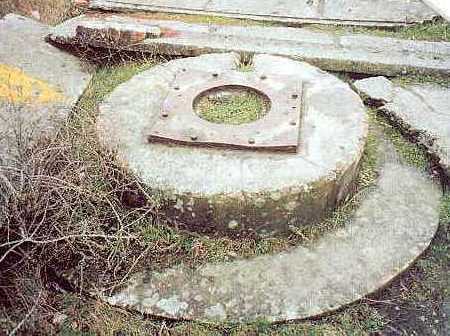 All that remains of the gun emplacement is a circular concrete holdfort. 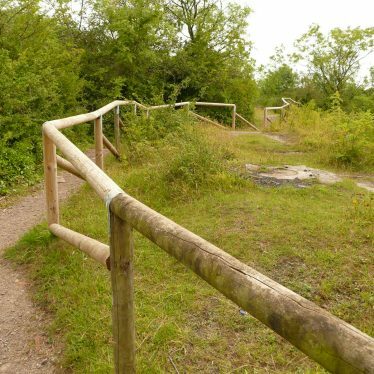 It is located in a field behind Rokeby School, Rugby. A pit surrounded by an earth bank is evident on aerial photographs to the south of Brick Kiln Lane near the old brick works, Middleton.